Strange conspiracy theories about UFOs and aliens are something we are all used to at this point—they have certainly been going strong at least since the infamous Roswell incident. While most of these theories generally stayed on the fringe throughout history, the Internet has brought many of them to the forefront of the modern consciousness. As you might imagine, many conspiracy theorists have trouble agreeing on what exactly it is the government is hiding from us, and just what the intentions of our secret alien overlords are. The theory that the Moon landing was faked is one of the most popular and longest-running conspiracies about the United States government. While we may not know the arguments, we all know the theory well. In essence, the theory states that there were many flaws in the footage that show how improbable it is that the landing actually happened. Theorists have pointed out issues with lighting, atmospheric conditions, and other oddities that don’t seem to make sense. 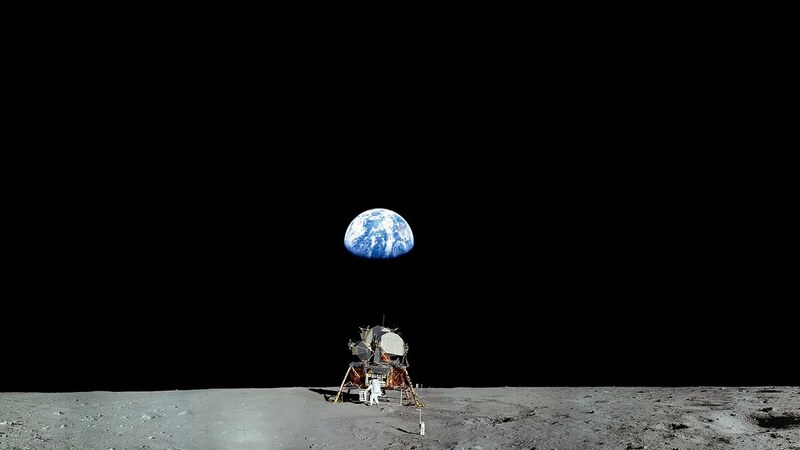 As far as the theorists are concerned, these flaws with the footage prove that the Moon landings never happened, and the whole thing was actually filmed on a set somewhere. There is an even more insane theory than the Moon landing hoax, though, that purports to be a more reasonable take on the events. This other theory agrees that the footage is most definitely faked, but thinks that we did actually land on the Moon. They believe that, with all the money that was spent, with the rocket that did actually go up, and with the people who really did leave for outer space, it’s likely that such a mission did indeed occur. It was in the movie 2010 the follow up to 2001: A Space Odyssey that Jupiter became a star. Somebody’s been reading a lot of Heinlein. Martian colonists? A Martian powerful politician?